We moved our main office one week ago today. It was bittersweet, however, in going from good to great, it makes it so worthwhile! We managed to execute moving an office space with close to 40 people while staying positive and sane! Here’s what we did that can help anyone facing a big move. Be prepared and organized. For us, everyone had a task to do prior to moving day, whether it was packing up a conference room or cleaning out the kitchen. Assign specific time constraints for each task. Hire a reputable moving company. We were not only moving furniture, we also had computers and printers that had to be packed carefully. Clean out, throw out and purge prior to moving. If you think you may not need it at the new space, you won’t; go ahead and get rid of it. We vowed not to take a file cabinet with us (except what was legally required). We scanned or threw out unnecessary papers! Don’t try to do everything yourself. Empower others to help! 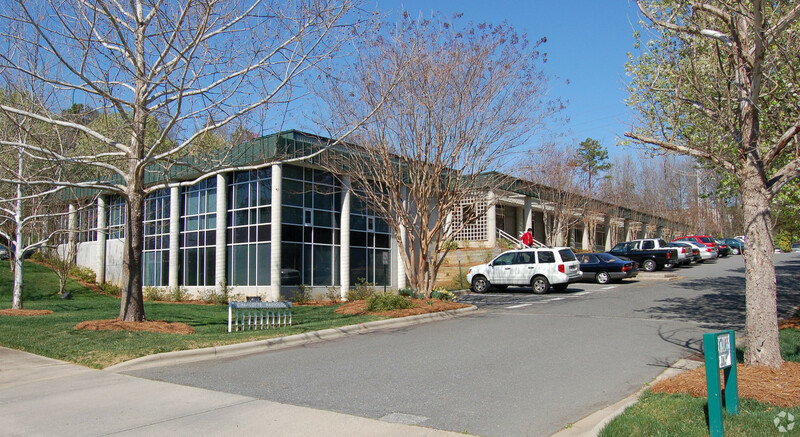 Henderson Properties Inc. new office location at 3030 Latrobe Rd. On day two, we were successfully moved into our new space and everyone had their cubicle and/or desks organized so that by Monday morning we were up and running! During the move I found myself smiling a lot. Happy, yes, for what was being accomplished, and also because of the teamwork that was happening. Our experience really was a team-building exercise. Not many people like change, though when you create a plan and then execute that plan to the best of your ability, amazing things happen. We look for the good around here in all things. When a possibility becomes a reality, it makes me feel good and I smile a lot! You can check out more about this journey and how we acquired our new space in my book Starting from Scratch due out June 7! Our move wasn’t dreaded because we had all the people and details in place. Plan your work and work your plan! Nothing has to be dreaded if you plan ahead and stay focused. Take one day at a time, keeping the end result in reach. If you can dream it, you can achieve it – words to live by. We can’t wait to see you at our new, bright, renovated office located at 3030 Latrobe Drive in Charlotte!